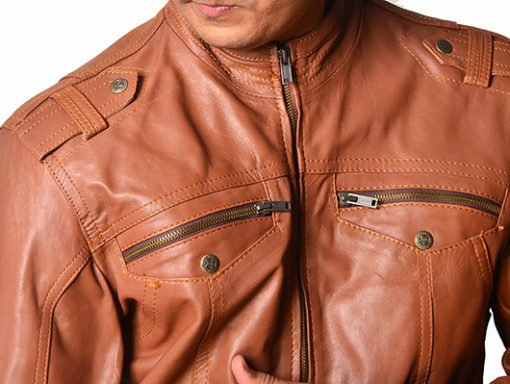 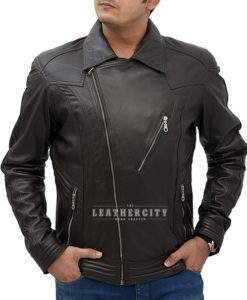 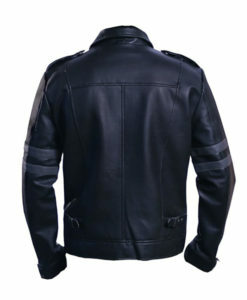 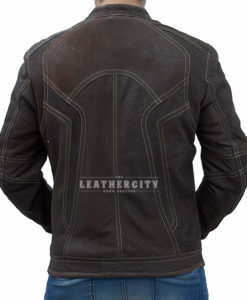 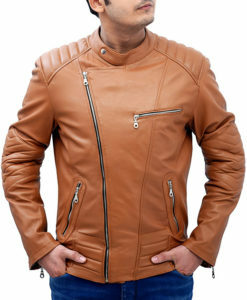 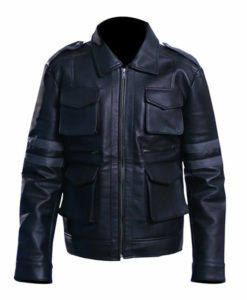 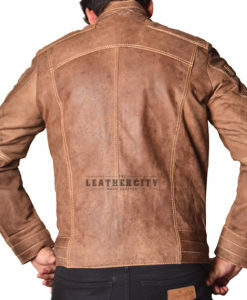 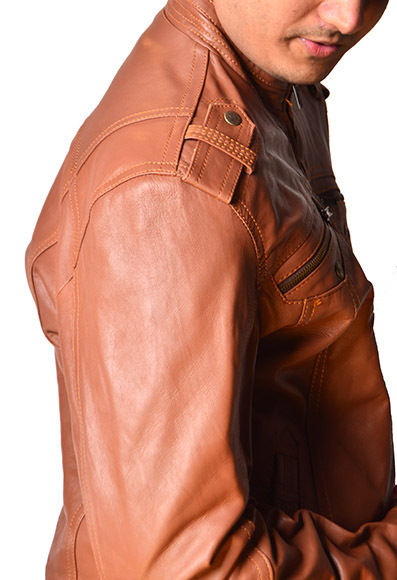 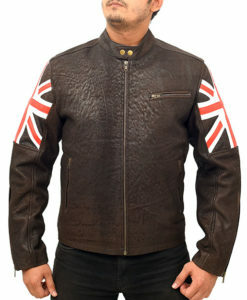 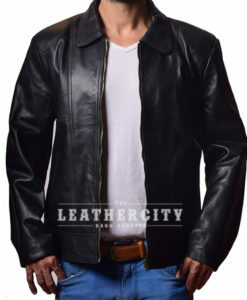 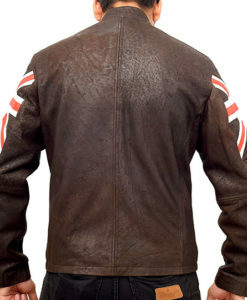 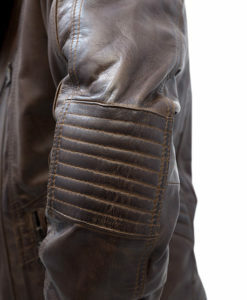 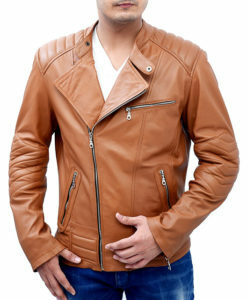 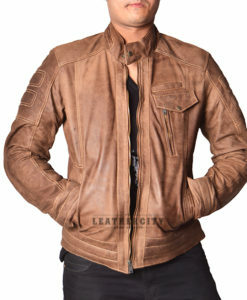 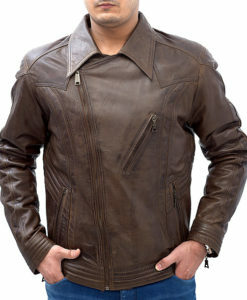 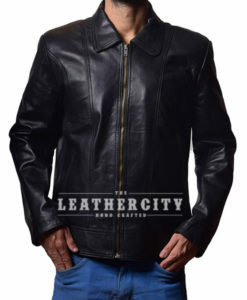 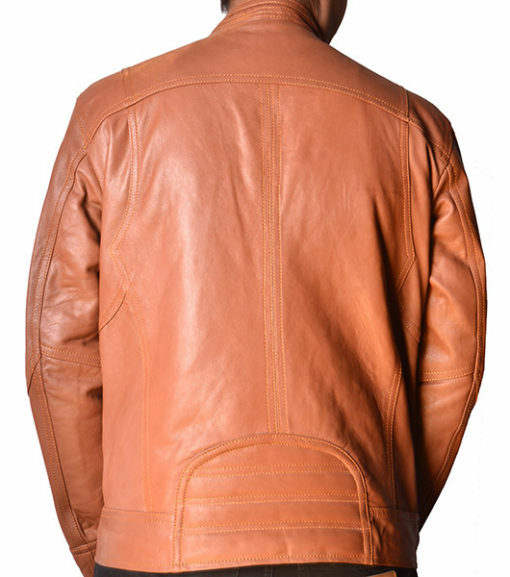 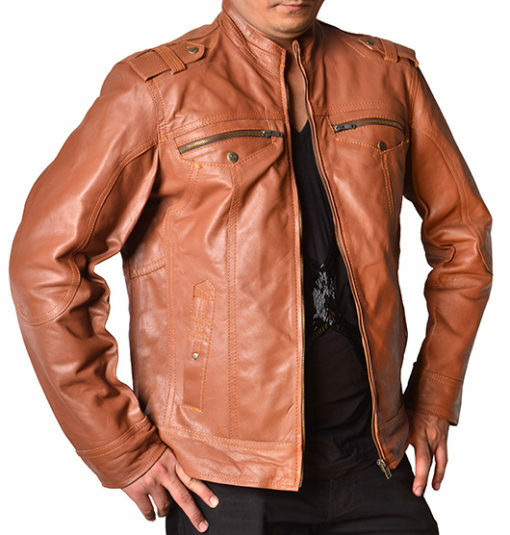 Men who love being trendy always give priority wearing stylish leather jackets. 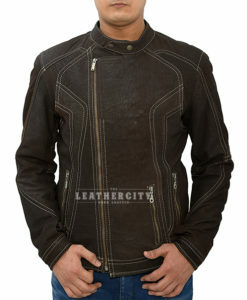 It has a round shape collar with front zipper closure and 2 zipped pocket on the it’s chest. 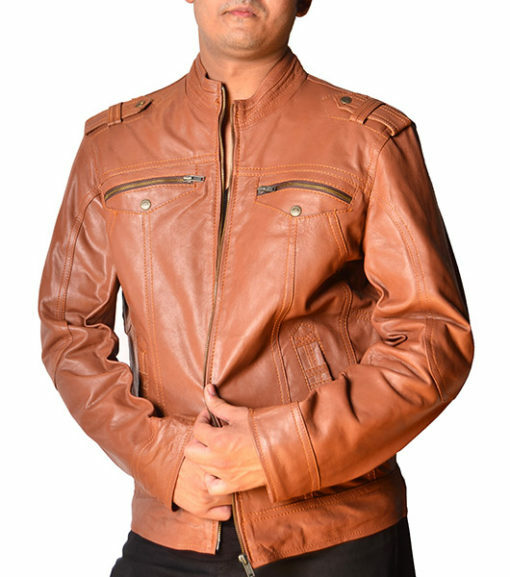 With its eye catching Tan color specially for parties or occasions it have open ended coughs and designed collar. 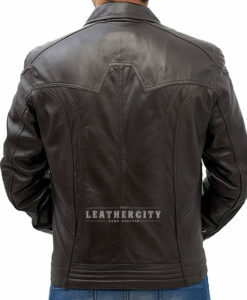 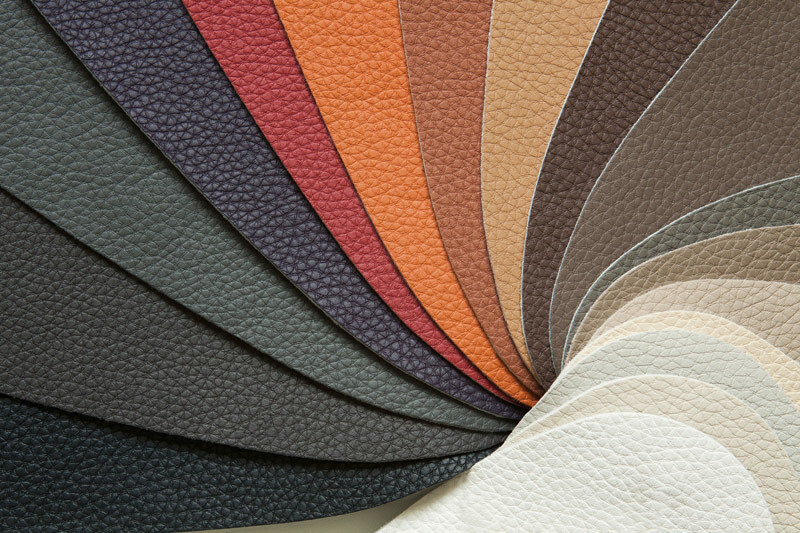 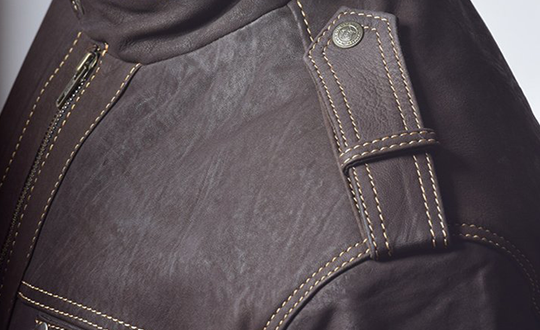 It is made up of 100% Sheep Leather material which provides a great finish.